[COMMUNICATE] “What does your unconscious tell you?” We’re constantly talking to ourselves. Sometimes we’re aware of it. Often not so much. 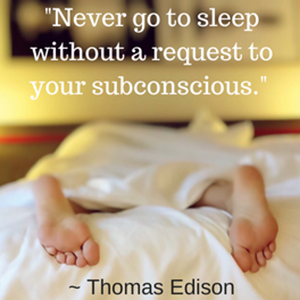 Where is your unconscious taking you? Is that where you want to be? If not, change it. First, be aware of what you’re unconscious believes. Then decide if you agree or not. If you don’t, modify that unconscious message.